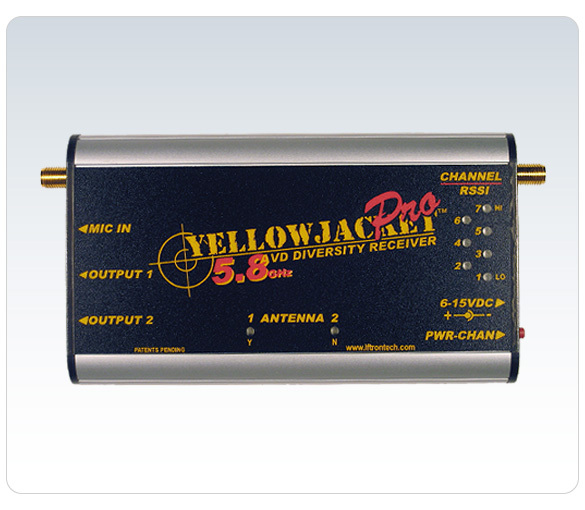 The YellowJacket 5.8 Pro is designed to be compatible with 2.4GHz remote control transmitters and receivers that are quickly gaining in popularity. Using Iftron's exclusive technology, YellowJacket switches instantly to the best signal between video frames where it can't be seen. Because switching is invisible, YellowJacket makes a chirping sound during switching, thus assuring you that YellowJacket is selecting the best video signal. YellowJacket 5.8 Pro can tune to 7 frequencies in the 5.8GHz band and receives 2 side channels for audio and data transmission. YellowJacket 5.8 Pro features 2 separate 75 ohm video and audio outputs so 2 recording and monitoring devices can be hooked up at the same time. No more splitters! YellowJacket 5.8 Pro's exclusive microphone input allows observers and guests to add comments in real-time right on the audio output stream. 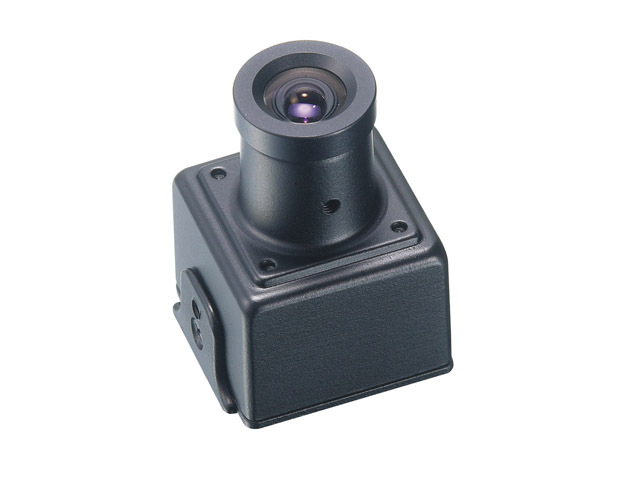 Moreover the microphone amplifier boasts an automatic level control (ALC) circuit that produces excellent sound quality from widely varying input volume while reducing or eliminated annoying background noise. Do not underestimate the power and convenience of this much sought-after feature!New in the 5.8 Pro is an exclusive field strength meter and an automatic battery saver that warns then shuts down to avoid battery damage. YellowJacket sips power and can operate from any DC power source from 6 to 15VDC.